Composite(Tooth-Colored) Fillings - Willow Grove PA - Kent Lane Mueller D.D.S. 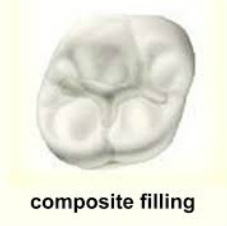 Teeth that have been compromised due to minor decay, fractures, or cracks may benefit from a composite filling. Composite or tooth-colored fillings are placed by Dr. Mueller in just one appointment at our Willow Grove office. During this appointment, Dr. Mueller will gently remove the problematic areas of the tooth, clean the healthy tooth, and then place the composite filling. The color of the filling will be closely matched to your natural teeth for the most aesthetic results. ​If you are interested in learning more about composite fillings, or if you would like to schedule your general dentistry appointment with Dr. Mueller, we invite you to call or visit our office soon.